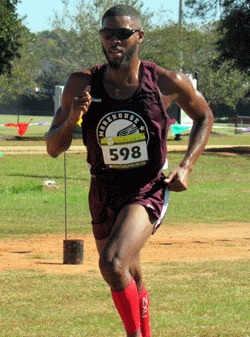 Trey Simons helped Morehouse College Men’s Cross Country team to a 5th place finish at the UAH Chargers XC Open. Morehouse finished 5th during the UAH Chargers XC Open Men’s 8K Team event with 115 points which was hosted by the University Alabama-Huntsville. Simons finished 6th overall clocking a time of 26:54.9, finishing 0:21.3 seconds behind the winner Justin Watson from North Alabama.